A new Galaxy phone, the Galaxy Z has been announced – it looks to be a more affordable version of the highly popular Galaxy S2. 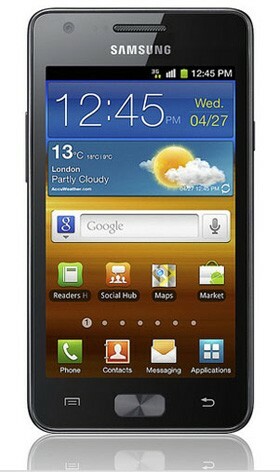 Galaxy Z seems to be a combo of I9003 and the Galaxy S2. it’s got a 4.2-inch SC-LCD screen and a 1GHz Dual core Tegra 2 chipset. The main differences between the S2 and the Galaxy Z are the display Galaxy Z has WVGA resolution and is an SC-LCD unit rather than a SuperAMOLED, besides the display the Galaxy Z has a downgraded camera – a 5 megapixel camera only capable of doing 720p videos. It is available on Pre-order in Sweden at 4,000 kronor which is about INR 28000.